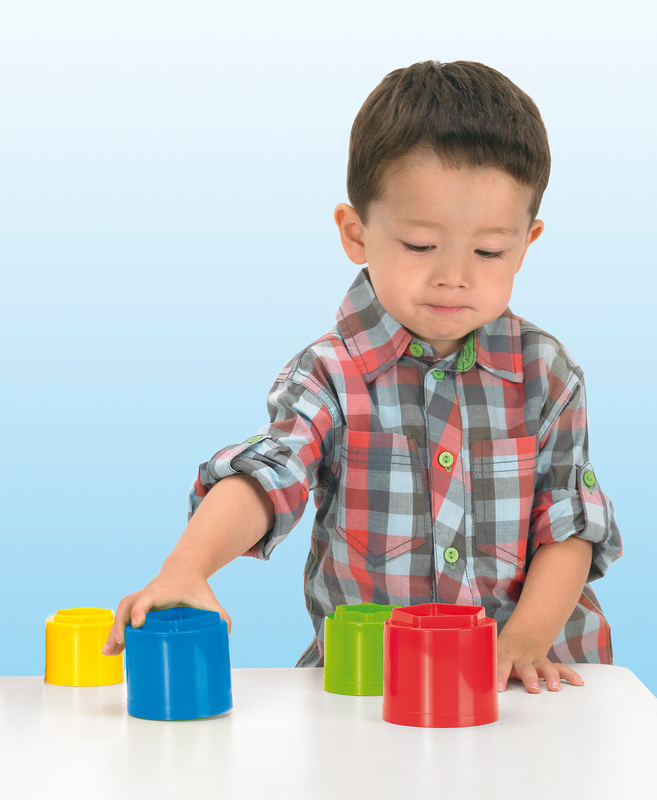 Learn about colours; learn about shapes; and use as cookie cutters in modelling clay or dough. 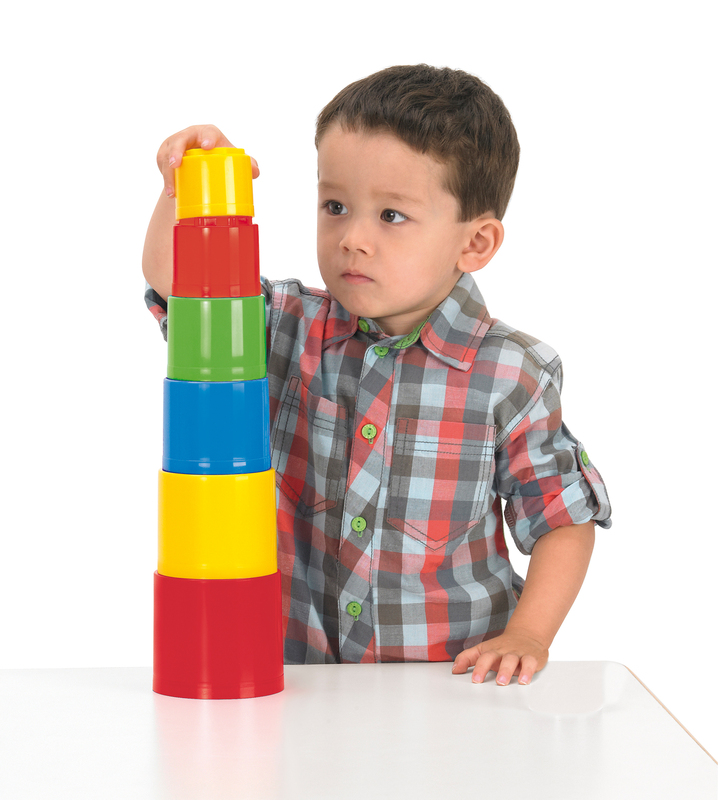 Can be stacked, assembled and, not least, turned over. 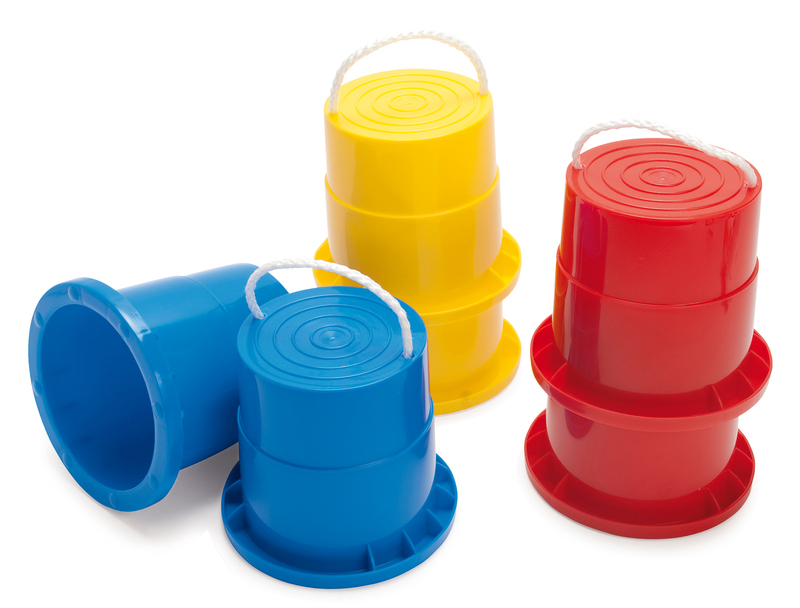 For fun indoor and outdoor play, after which the play cups may be cleaned in the dishwasher. Learn about balance. 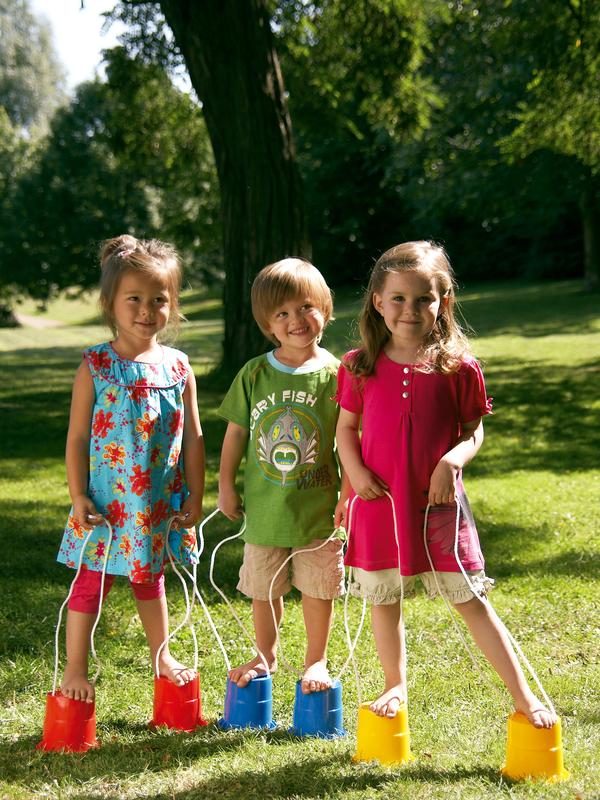 dantoy junior stilts help strengthening the child's coordination. 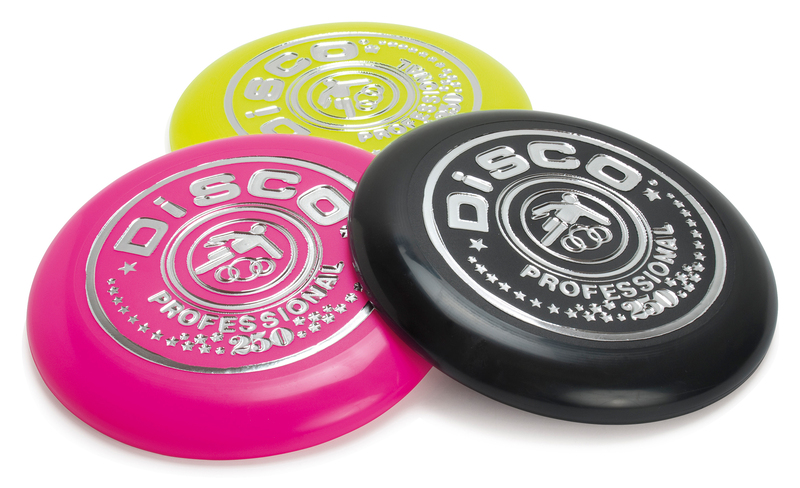 Learn how to throw and catch with the dantoy Disco Professional. Fun game, even for the little ones. Easy to bring along to the beach or the park, where there is room for long tosses.. When playing outside, there is room for physical exercise as the surroundings are more spacious than the room or nursery. 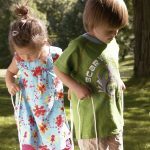 Outdoor play takes up more space than the traditional indoor games and there is room for the child to use its physique. When the children are young, it is important to stimulate their bodies so that the child’s physical skills may develop and strengthen. 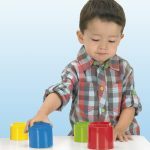 When the child is playing outside using its physique, it becomes familiar with its body and experiences the joy of moving. Therefore, outdoor play is contributing to the child’s healthy development. Later on, when reaching school age, this will ensure a healthy relationship with physical exercise and nature. In addition, the elements of nature help strengthening the child’s senses, for instance in the form of bird sounds, the sense of feeling when touching the grass, the trees, the sand and the rocks as well as well as the sense of smell – how does nature smell? 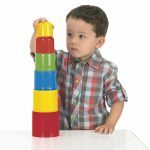 Among other things, dantoy offers frisbees, construction toys in the form of large building blocks and bucket stilts which strengthen the balance and thus, later on, the ability to ride a bicycle, jump and run. All the play equipment strengthens the child’s physical and mental development. All products are of a high quality ensuring an extended play value, and they come in super stylish colours. All dantoy products are safe. Therefore, we have chosen to add the Nordic Ecolabel (the Nordic Swan) to approximately 90% of our products and more are coming. 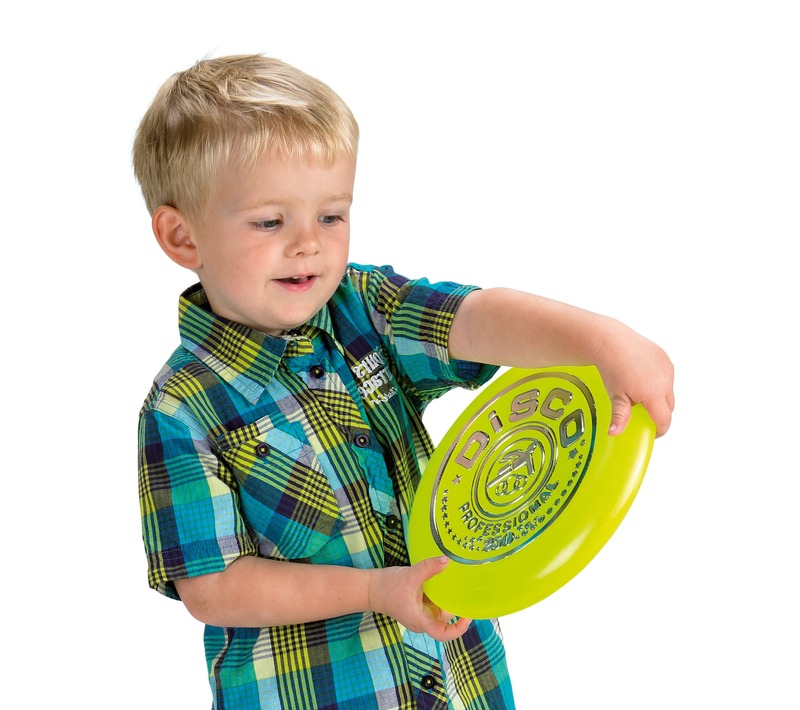 All our products are dishwasher safe, however we recommend cleaning toys with stickers manually. At dantoy, we only use premium and hardwearing materials, and the products may thus be used repeatedly in the sandpit, the kindergarten, the garden or the playground.